I earned Php 25.70 from consuming Php 775 worth of Prepaid Load. How about you? Are you saving money? I have earned Php 25.70 from selling Php 775 worth of various prepaid load. If I alone spent Php 775 on prepaid load for my personal use, I would still earn back 25.70 or so as a VMobile Technouser. Since I am also a Technopreneur, I also earned an additional 1% of Php 775, which is Php 7.75. So in 10 days, how much did I earn all in all? Php 33.45 from consuming Php 775. My question is, does your prepaid network give you savings? Mine does! What is a Technouser? 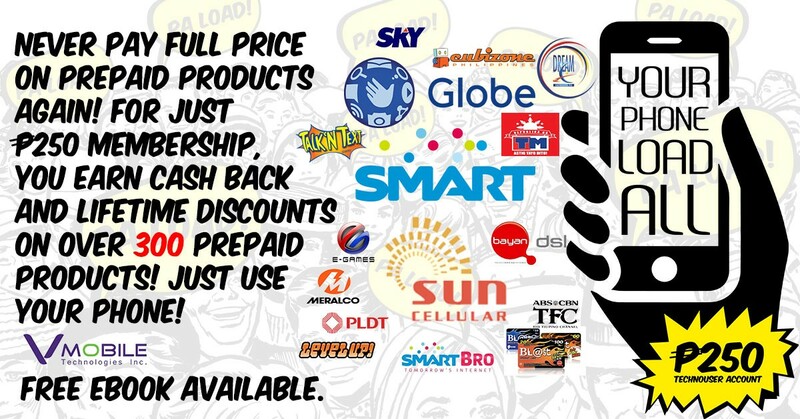 A retailer or load seller empowered by VMobile LoadXtreme. What is a Technopreneur? A dealer and also a retailer with more earning opportunities than of a technouser. What is Guaranteed Retail Override or GRO? GRO is what a Technopreneur earns from ALL transactions at a rate of 1%.